Smartphone maker Xiaomi Corp on Wednesday debuted its flagship handset and pledged to open 300 retail stores to fight against Huawei Technologies Co Ltd, which is threatening its leading position in China. Lei Jun, CEO and co-founder of the Beijing-based Xiaomi, said the new device and offline sales plan will let the challengers know who is the boss on the market. "We are sorry other vendors were left disappointed," Lei said on Wednesday at the launch. He was obviously mocking Huawei's 2015 plan to get on top of Xiaomi in Chinese market by the year-end. Xiaomi ended up shipping 2 million devices more than Huawei did last year, according to research firm International Data Corp.
"We are rolling out more top-tier products to secure the No 1 place," said Lei. The company will relay on the new Mi 5 handset to achieve the target. The 5-inch-screen handset comes with a 16-megapixel back camera, a fingerprint sensor, a ceramic back, a powerful processor and a 128-gigabyte storage. The retail prices were set between 1,999 yuan ($306) to 2,699 yuan depending on the configurations. In comparison, Huawei's slightly bigger flagship Mate 8 is selling from 3,199 yuan. The storage and processing power are similar to Mi 5's cheapest option. The Mi 5 will be available on the Chinese mainland starting from March 1, followed by India, according to Xiaomi. However, the product will not enter the United States market although the 5-year-old Xiaomi launched an online store in the US selling power banks and mobile accessories. The delayed US release was largely due to lack of necessary patents. Lei said at Wednesday's event the company is growing its patent pool and has applied about 3,600 patents over the past years. China, the world's biggest smartphone market, will remain the top priority for Xiaomi in the coming years however. Lei said the company will open 200 to 300 retail stores in Chinese cities to boost sales. Nicole Peng, director of consultancy Canalys China, said going offline was a huge strategic change for Xiaomi as the company aims to grow sales as the market goes weak. Most of the Xiaomi devices were sold online currently. Internet-only sales model helped Xiaomi keep down its operational cost. The decision was made as demand for smartphones in the country stopped to grow because of high penetration rate. A number of vendors are also mulling over more stores in smaller cities for bigger sales. Apple Inc is heavily dependent on Chinese market and the company eyes to have around 40 bricks-and-mortar stores in the country. The new outlets mainly target buyers in smaller cities such as Qingdao in Shandong province. Tay Xiaohan, an analyst from IDC, said the market has changed significantly as telecom carriers are reducing smartphone subsidy. 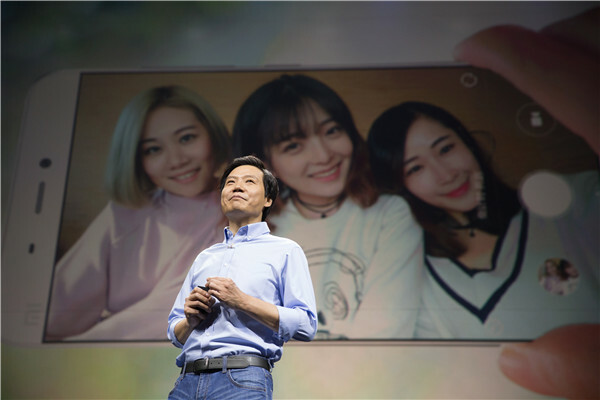 "Xiaomi entered the market at a time when the China smartphone market was still growing, and was able to capture a significant market share with its disruptive sales model," Tay said. Xiaomi Corp has purchased a 65 percent stake in a third-party payment company, indicating that the biggest smartphone maker in China is preparing to step into the financial services sector. Xiaomi completed its stake purchase of Inner Mongolia-based Jiefu Ruitong in late January, according to a filing to the State Administration for Industry and Commerce. Jiefu Ruitong provides mobile and Internet payment services. The company said it handled more than $300 million in payment transactions as early as 2011. The performance of Jiefu Ruitong is unclear because it is a privately owned firm. During Mi 5's launch, Xiaomi CEO Lei Jun said the new device would support mobile payment using near-field communication technology. The device could also work as a public transit card to pay bus and underground fares.